Well, he did not disappoint! Perhaps I'm biased, but Paul McCartney still rocks a live show. Not only was I excited to see my favourite Beatle, but I was going to see him with my other favourite guy :) Devin & I listened to McCartney music in the afternoon to prep for the show. There were a few songs that came on the playlist that he didn't realize were McCartney songs, so that was fun. He was excited! We met his dad Larry & Bev in Hamilton, grabbed some food and set out for Toronto. Bev was lucky enough to be celebrating her birthday with Paul. How cool is that? Once inside, I could hear the faint sounds of bagpipes. My heart leaped and I found myself craning my neck to see inside the stadium. Unfortunately, a burly security guard stood in my way. 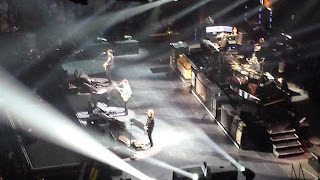 As we started to form a line to get in to our section, we discovered that was, in fact, Paul doing a sound check. (clearly I had heard them doing Mull of Kintyre). Waiting in line was not so much of an issue, but the longer we waited, the more people were filling up the mezzanine - making it nearly impossible to even cross the walkway! By the time we were able to go to our seats, we were feeling like sardines! Speaking of our seats, they were great! 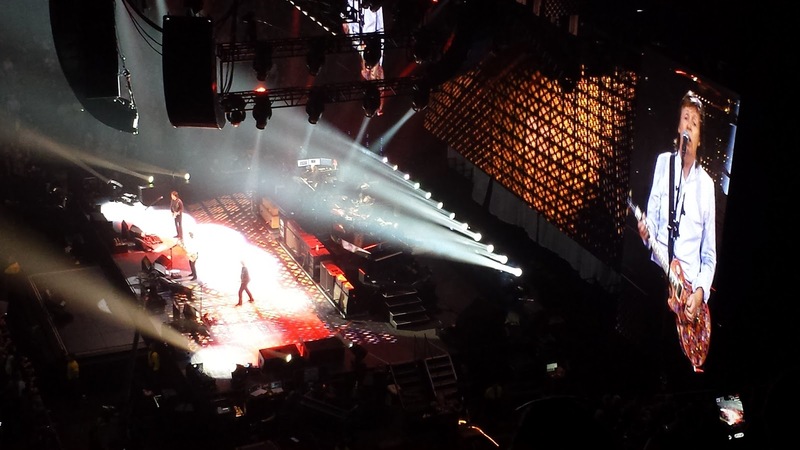 Up in the 300s but a great side view of the stage. 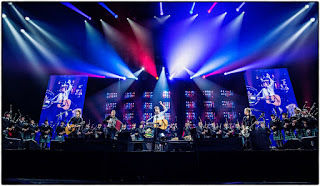 Paul soon appeared on stage, looking dapper and wearing his trademark "Beatle boots" and a jacket. After a few songs he lost the jacket and continued to play for three hours. When you consider his work with The Beatles, Wings and his solo career, his catalogue of songs is phenomenal! The highlight for me (I think - it's hard to choose just one) was the moment of Mull of Kintyre when the pipe band walks out on stage in a swelling crescendo. What a moment! 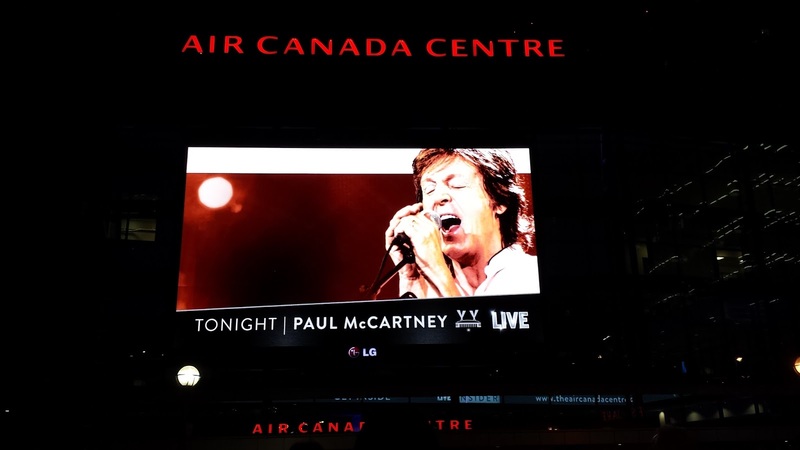 I've only seen Sir Paul in Toronto, but I've heard that he only does that song here. I'm not sure why, but I'll take it!